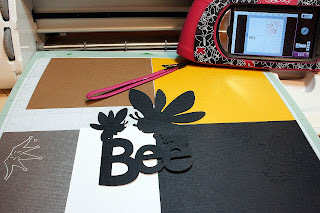 Believe Dream Create with Maria: Everyday Cricut....Day 3! I have been whining a bit on my Blog lately about not understanding how I turned into a card maker all of a sudden--I'm really a scrapbooker AND I like to do messy stuff :) A little secret here, I really enjoy making the cards, but I feel SO guilty that I'm not documenting my life as much anymore...something I'm trying really hard to get back to. 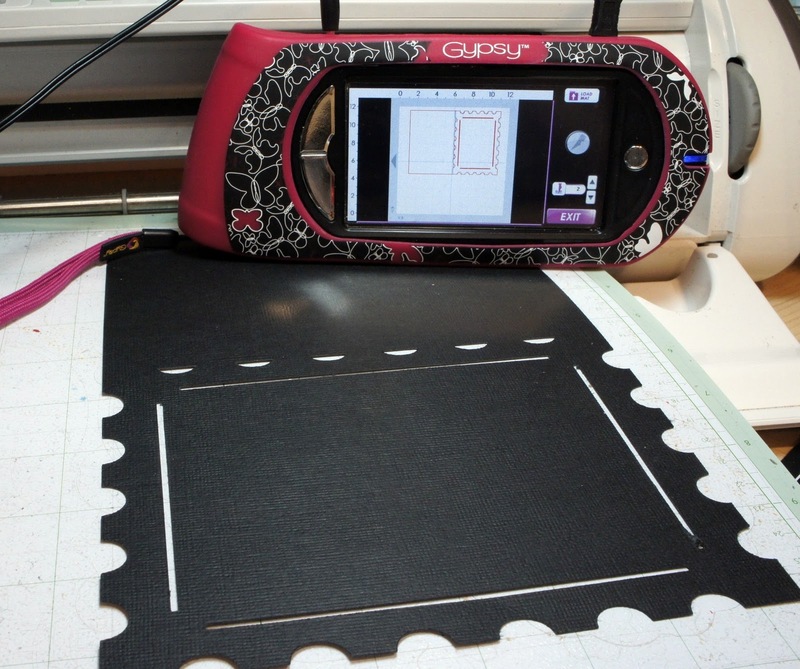 For the base of this one, I welded a Postage stamp image from Create A Critter to a rectangle in George in my Gypsy. I really enjoy making my own card bases this way. 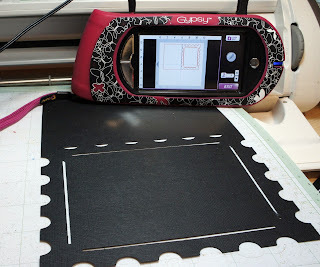 Most of my designs--okay--all of my designs are made in the Gypsy now :) I love taking the time, when I have it, to make my projects and then be able to go to my Cricut when I'm ready and just push CUT! Taking a little time to set things up in the Gypsy with putting all the images of one color in a section makes this super simple when going to cut. 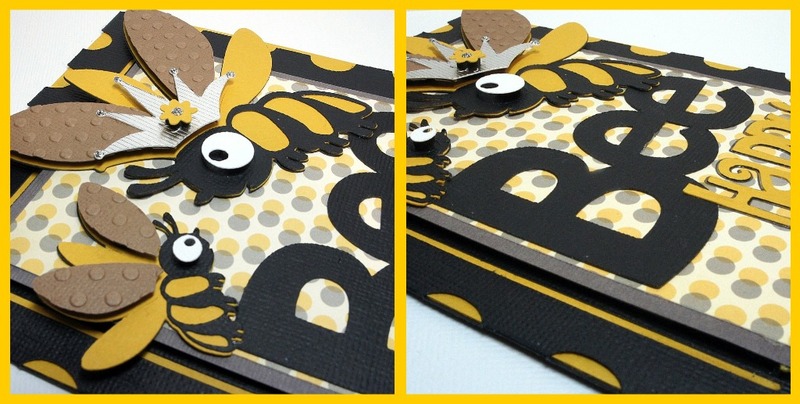 For the main image in the card I welded the bee's together with the word Bee and cut the layers appropriately. I really enjoyed this card. I think it telling me telling my teenagers, BEE HAPPY, life is good! Kates ABC's = Bee's @ 3.52", Sesame Street Seasons word Bee @ 2.11', Straight From the Nest HAPPY @ 2.37", Create A Critter Card Base @ 2.37", George Base weld rectangle @ 7.0" & base mat @ 5.06"
I love this card! I am a NEW follower. Your work is beautiful. Marie, this card is beeeee-oootiful. I love every little detail. The bee is fantastic. I love, love, LOVE your card on Everyday Cricut and wanted to tell you so on your blog... It's fabulous and I can't wait to try that postage stamp card (I have a Gypsy and the Create a Critter cart so I'm raring to go!)! I just discovered your blog,it is fantastic!! I love this card,well done and thank you for the inspiration. 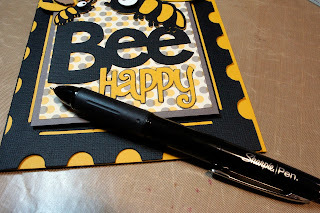 I so know how you feel about the scrapbooking..but I am so into making cards right now and other projects that I feel like ti has been left off..do nto fear you will go back to it when you are ready to do awesome things like yesterdays layout! As a new follower, I'm really enjoying your stay at Everyday Cricut and like your work. This card is lovely with all the layers used. Awesomely Gorgeous card!! Love all the details!! I want Kate's abc's sooo bad. I do hopr that the joann's they are building here to open in the summmer has it. These bees ar just too too cute. 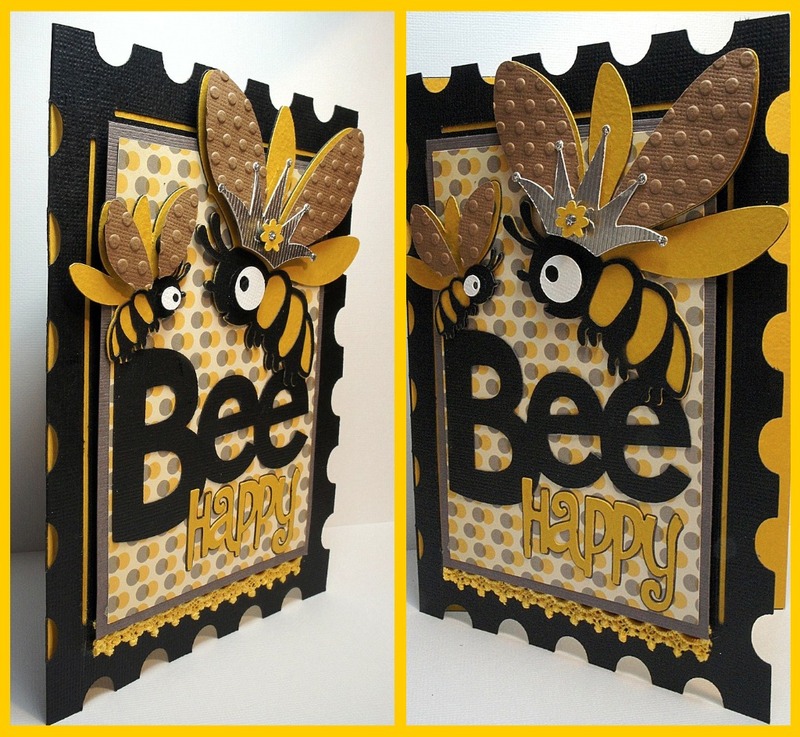 maria...i am glad you are making cards now and we can use your inspiration and ideas. you are very good at it and i can't wait to learn making beautiful layouts getting tuts and ideas from you. this card is just beautiful--as all the work i have seen from you. tfs! What a fun card, great detail all over! Love the trim-I'm a huge fan of Prima. I love using my Gyspy, makes it all so easy! I'll try the welding frame idea. Thanks so much. When you put multiple colors on your mat at own time do you try to stick to the 4 corners with 6x6 squares full of shapes? It appears this would be one of the easier ways to get the colors right. Sooo cute. You are really super talented. I'm loving everything you've done! cute card. everything u have done is great. This is such a cute card!!!! 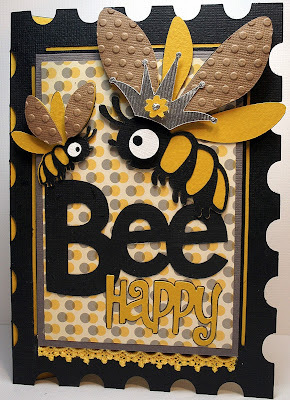 I bEElieve i LOVE it! Super cute and great job with the creative welding! !